One interesting solution to the range anxiety experienced with an electric vehicle is called fast charging. But what is it, except that it is similar to normal charging, but at a higher pace? How does it work and what is the impact of it on a day to day basis? Why would you want to fast charge in the first place? Fast charging was developed with the aim of quickly being able to recharge your battery and continue your driving as quickly as possible, essentially making the electric driving experience more like driving in a conventional car and refueling at the gas station. Currently the average battery capacity could last between one and two hours of driving, after which it is advisable to have a rest and stretch your legs anyway. So why not utilize this periodic brake to recharge your vehicle, besides yourself? The promise of fast charging, is that it can refill your battery from 0 to 80% of the battery capacity within half an hour. This involves higher powers than associated with conventional charging, it is therefore also in the Level 3 category. For information on the various charging levels, refer to my earlier post on it. There are many standards associated with fast charging, among which the most well known is referred to as CHAdeMO, from Japanese origin. Car and battery manufacturers are a bit hesitant with regards to fast charging; in general the higher the powers used to charge a battery with, the more damage that can be done to the battery. With all the uncertainties associated with battery life and the depreciation value of the battery, manufacturers tend to advise not to use fast charging as your only solution to charge your electric vehicle. Until extensive testing on this subject is completed and their findings are published, this remains a topic for debate. There are a few companies globally that offer fast charging solutions, the most well known being Epyon, Nissan and Siemens. Epyon is of Dutch origin, but was recently acquired by ABB from Sweden. The average output of a fast charging station is around 50kW. A rather high power output, but this is what enables the charging times of less than half an hour. For an example, refer to the datasheets from Epyon found here. As fast charging stations are quite a costly investment, they are not as widespread as many EV enthusiasts and drivers have hoped for. However, they are slowly populating the local roads, especially at the locations where people tend to have natural stops for a brief moment, or along routes where people need to fast charge in order to be able to make a longer trip in a reasonable timeframe. Think of petrol stations, stops along highways and shopping malls and restaurants. Though personally, I think those restaurants are probably fast food chains, given the timeframe needed to complete a charge. As said, the cost to install is quite steep, currently a fast charging solution can be bought for about €25.000. So if electricity sells for very cheap (here in the Netherlands around €0.21 per kWh), how do these stations make a profit? Currently discussions focus on a flat fee per charge, around €8-15 euros. 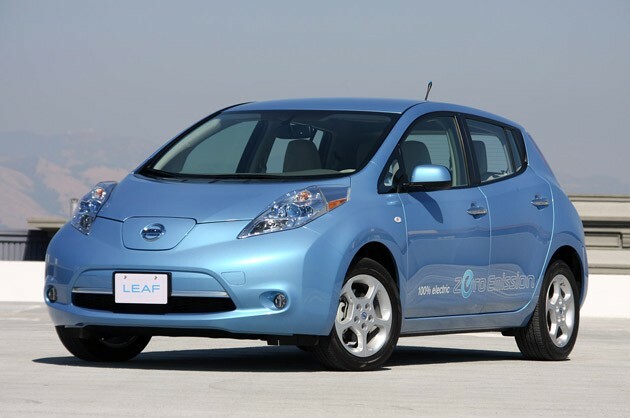 Let’s assume a fully discharged Nissan Leaf, which has a battery of 24 kWh. If we can charge it from 0-80%, we need to charge 19.2 kWh. That amount of power would cost just a little over €4.00 (19.2 x €0.21). A decent profit per kWh, especially considering if the electricity can probably be bought cheaper in larger volumes. However, you would still need to sell many kWh to have the return on your €25.000. The true added benefit of fast charging (or any type of stationary charging for that matter) is the extra services the provider of the charging can sell to the EV driver. Imagine having driven your EV along the highway. After an hour or two, you would like to stretch your legs and perhaps get a cup of coffee, or a snack perhaps. It is what most people do at petrol stations and using the fast charger to ‘pull’ customers to the shop, the extra services sold will pay for the charger, way before a break even is made on the electricity alone. As with any electric vehicle application, there are many parties involved around the electric vehicle and fast charging. First and foremost, the driver of an EV, the client to the charging provider. Secondly, the utility provider and the energy company (in the Netherlands separated by the company that maintains the grid/network and the company producing/selling the electricity). Then there are a few providers, for example the leasing company, perhaps a separate company for your charging subscription, which can also be the utility company that sells you electricity at your house. And in some cases, especially with fast charging, there are the owners of the location who offer the service, be it a commercial location or government controlled. Each has their own unique desires and wants from this economic and technical equation, which makes it a rather interesting case to look at. Last but not least, when will drivers use fast charging? Every time when your battery is (nearly) empty? Not very likely, not only because the car manufacturer might void the battery warranty if you do so, but also since it is not really a necessity. The added premium for a fast charge will ensure drivers will only use it when they really need it (for example on their longer trips across the country. One thing I’m interested in to find out; how much will actually be charged? Almost everybody will have at least some charge left in their battery when they arive at a fast charging station, similar to people arriving at a gas station: you are bound to have some kWh/petrol left upon arrival. Will this be taken into consideration for the fee? If it is a fixed, flat fee not, but that is what the rules seem to move towards at the moment. Fast charging will primarily be used by those who need to drive for longer distances than the single charge will allow. For all other charging, people will use the other charging methods (level 1 and level 2). Also refer to the case which I hear being told often on Hong Kong. Fast charging, what is next? To wrap this up, fast charging is very similar to normal or conventional charging. You plug in and charge the battery. The powers associated with it are higher, but the waiting time is also reduced. It will be most beneficial to those who drive longer distances than a single charge of their battery will allow, enabling for a quick charge and top up of the battery and continue their way. Essentially it will be a lot more like the conventional process of refueling your ICE vehicle. The obvious benefits are the reduced time to wait for your battery to be charged again and the ability to drive longer distances without much hassle. A downside of this technology would be the increase in power usage, or spikes in the energy consumption. Drawing 50kW even if only for half an hour can be quite a significant increase in some areas, though the promise of the smart grid and other technologies aim to solve this. Still, something to be aware of. I think fast charging holds a lot of potential for current electric vehicle drivers. The need for fast charging might reduce when batteries get a higher energy density and vehicles can achieve longer ranges on a single charge. On the other hand, if fast charging becomes an acceptable standard for EV drivers and more available along the roads, bigger batteries might not be really needed anymore. Last week there was big news from The New Motion, announcing that they will setup ten fast chargers for electric vehicles in the Netherlands. This will inspire other companies and interested parties to also setup a fast charging network in the Netherlands and accelerate the introduction and acceptance of going electric. When fast charging first popped up in the news it was quickly diminished as not good for your battery and it would create grid instability with high fluctuating peak loads, etc. However, a lot of car manufacturers have adopted the fast charge, so they too must think the benefits outweigh the disadvantages. One of the companies that has achieved great results with fast charging is Epyon, a Dutch company which has gained a world wide reputation for their fast charging solutions. Together with The New Motion and the funding of DOEN, they will facilitate the first step in the Dutch fast charging network. The locations of the fast charging stations is not clear yet, but they will be located near places where you can spend up to 30 minutes enjoying a drink of a snack while your car charges again. Think of restaurants, gas stations or large shopping malls. Stretch your legs for a bit, enjoy the coffee and your car gets charged while you wait. This will really open up a lot of opportunities for the electric vehicle market in the Netherlands. The stations will be placed around February 2011, which is around the same date the Nissan Leaf will be introduced in the Netherlands.